What’s better than 1 brunch? How about 4? 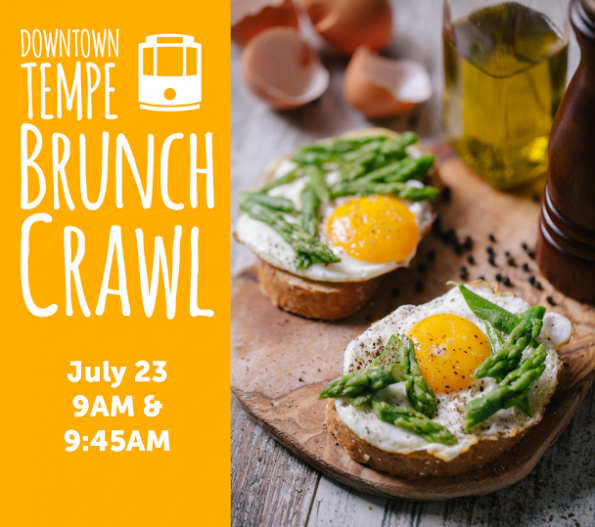 That’s right, the Downtown Tempe Authority is hosting their second annual Downtown Tempe Brunch Crawl on Saturday July 23rd. Attendees will get to enjoy an air conditioned trolley ride, along with mimosas, to 4 different brunch spots. This all ages event (you must be 21 or older to partake of the mimosas, of course) is a pay as you go event. This means it is free to RSVP and you only have to pay for what you choose to eat! To RSVP, visit: https://brunchcrawl.splashthat.com/. Each location will feature various specials for the event. Délice Bistro– A European style bakery with to die for croissants (we’ve tried both sweet and savory). The deal being offered by Délice Bistro is a mini juice and chocolate croissant for $4. NCOUNTER– A chic breakfast and lunch joint with great food and coffee (we’ve only had lunch there but let us assure you, it was fantastic). The deals being offered at NCOUNTER are $3 Bloody Marys and $3 Breakfast Street Tacos. 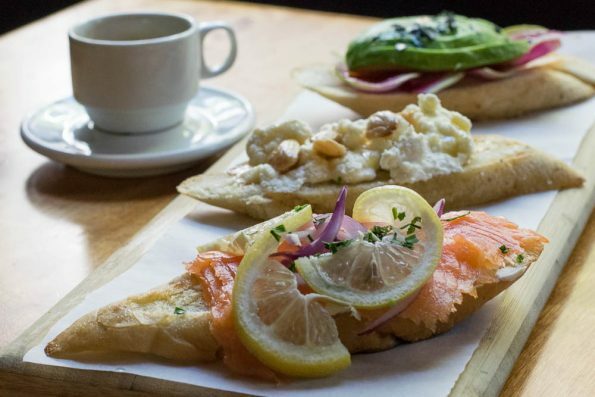 Caffe Boa– A bistro that focuses on seasonal and local ingredients with a European flair (their Nova Flatbread is the stuff of dreams!). Deal details have yet to be provided (we will be sure to update this as it becomes available). Postino Annex– One of the Valley’s favorite wine bars, Postino has become very popular with several new locations (their bruschetta is the business, and yes they are ALL fantastic). Postino will be offering a $10 drink plus small bites menu. The event starts at Délice Bistro with 2 different start times. There are two available schedules starting at either 9 or 9:45 and will have about an hour at each of the locations. Everyone is also invited to share their fun with the hash tag #DTBrunch! This fun-filled event is definitely not to be missed! So make sure you RSVP to the Downtown Tempe Brunch Crawl now! See you all there! *The Geeks were compensated to facilitate this write-up; However, opinions are wholly our own. View our Disclosure Policy for more info.